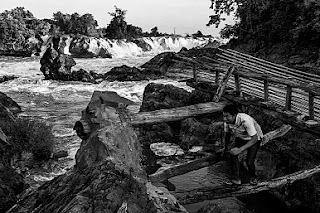 Shortly after crossing into Laos, we arrived at the pounding waters of the Khone falls. 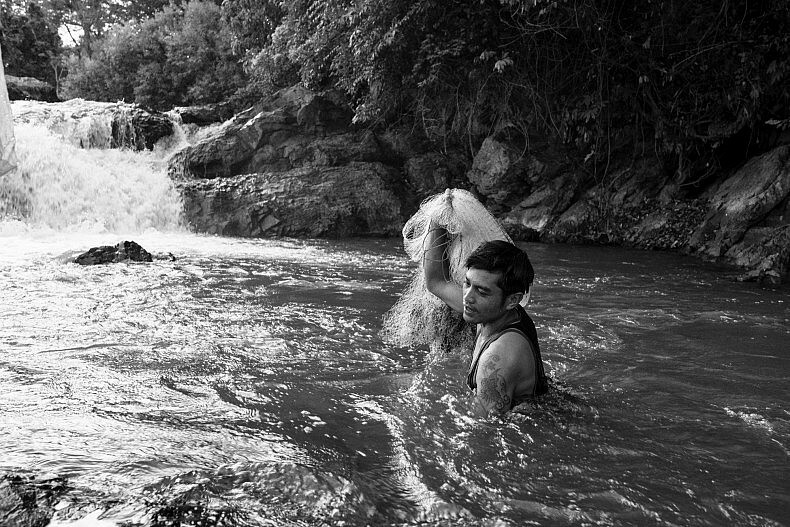 Beyond being an awe-inspiring natural formation, the falls have both stymied the efforts to turn the Mekong into a trade highway and preserved the health of the local ecosystem. An elevated section of the Khone Phapheng waterfalls (Khone Falls). The Khone Falls stretch the breadth of the Mekong river and prevent it from acting as a commercially viable transportation route. Photo by Luc Forsyth. We could feel the water before we could see it. The deep bass rumbling of the expansive Khone falls was experienced not so much as a sound, but rather a pervasive sensation in the stomach that was both subtle and impossible to ignore at the same time. We had crossed the border from Cambodia into Laos without incident. In fact, the customs checkpoint was so lightly used and understaffed that we probably could have walked into the country without showing our passports. Extravagant Khmer-style administrative buildings stood empty and unused, left to quietly rot in the humidity of the jungle. A pack of friendly stray dogs lazed in the no man’s land between the two nations, significantly outnumbering the immigration personnel. To read the rest of this article, please click here to go the source.